Selecting the right logistics service provider can be a tough experience for companies. Don’t shortcut the process though, because the reputation and success of your company may soon depend on your logistics provider’s reliability. Avoid a potential logistics nightmare by using these 5 elements in selecting your perfect logistics provider (such as a third-party logistics company, or “3PL”). A prospective logistics provider must be competent in the specific service areas that meet your company’s needs. Just because a provider is a rock star in one area, it’s not a forgone conclusion that they can service your firm properly. Are truckload lanes repetitive, originating from a limited number of shipping points and terminating to a relatively limited number of consignees? Are shipments time-sensitive and/or do they require drop trailers? A mid-sized, asset-based carrier would meet these needs without getting sidetracked by their exceedingly large list of clients. Are truckload lanes sporadic? Is there live loading/unloading or do shipments come from a high number of origins that terminate to a high number of receivers? If so, a 3PL provider or broker might be a better fit. 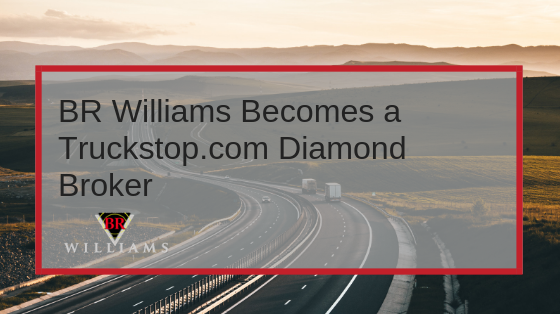 Do you require access to dedicated trucking assets and 3PL? A logistics provider that possesses both assets and a 3PL division may be able to offer optimal solutions. If a provider claims to possess all the capabilities “under the sun” but your organization requires only a few core services… be wary of a company that is a “jack of all trades” and master of none. 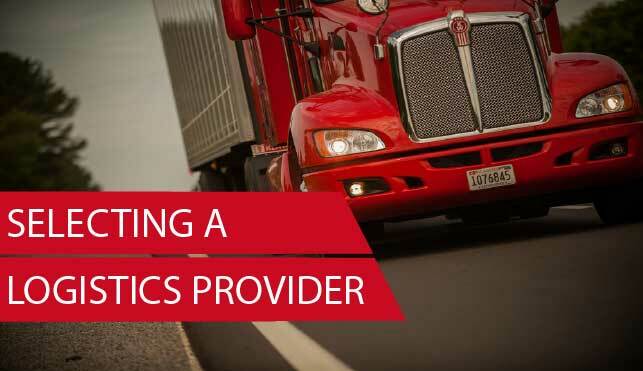 Download our free eBook How to Choose the Right Logistics Provider for a complete guide on choosing the right provider for your business, including the top 5 factors to consider. Does the logistics provider prioritize customer service, responsiveness, fluid lines of communication and effective problem solving? These elements can be difficult to ascertain early on but do your homework. Virtually all companies claim to have excellent customer service, but how do you know? You ask their customers. Ask for references, preferably from companies in similar industries and needs. Good customer service is no accident. If the customer service is consistently excellent, it’s likely a result of a well-documented and repeated process that will continue over the years. Another yield of good process execution is safety. It is uncommon for a logistics provider to achieve excellent results in customer service and poor results in safety or vice versa. 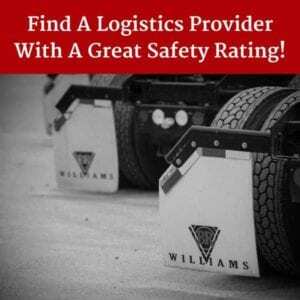 It can be deduced that a safe logistics provider, probably provides good customer service. Due to the ever-changing landscape of safety regulations, it is imperative that you select a carrier with a strong safety record. A review of safety ratings and statistics is available to the public here: https://ai.fmcsa.dot.gov//SMS. Whether your supply chain is simple or complex, select a logistics provider with overall company stability. Top suppliers are consistent suppliers and quality can be jeopardized as companies experience rapid change. Furthermore, if one high-liability event occurs and your provider cannot withstand the fallout, the liability often shifts, in effect, to you the shipper. This concern can be eased if the provider’s “word”, name and reputation has remained intact through decades of market turbulence and economic uncertainly. In a new business arrangement, you can rest assured that at some point the relationship will be tested. Often it as at this juncture, that the character of the service provider’s leadership will be revealed. Before it is too late, investigate whether the provider is likely to respond with integrity and honor. Time will reveal whether the firm has a good, bad or ugly reputation with customers, suppliers, and employees. How do they treat their suppliers and employees? Are they an active and positive force within their community? What type of reviews do they have online? What are the consistent themes that appear again and again in their marketing material? The answers will go a long way to determining how the provider will be as a supplier and partner. Bonus: Double-check all elements if a supplier’s price is significantly lower than the market. What good is a cheap price if a provider doesn’t deliver consistently or provide an adequate response in the event of mishap? What good is a cheap price if service failures cause you to lose revenue? What good is a cheap price if your team spends countless hours resolving claims and problems? Think about the total cost associated with selecting a long-term solution provider. The provider that offers you the overall lowest cost of working together is the partner you want around for years to come. 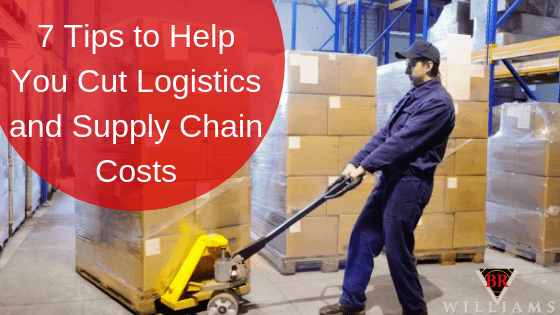 As we’ve discussed, finding the right logistics provider can be a daunting task. Use these 5 elements to narrow the field of applicants. We’ve been providing logistics services in the USA since 1958 and would be happy to figure out how we can help you improve your business. Contact us to get started! 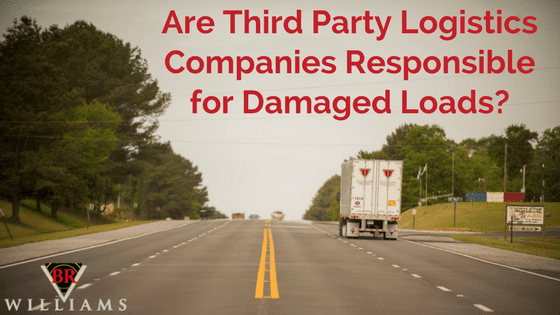 Are Third Party Logistics Companies Responsible for Damaged Loads? Who is Responsible for a Damaged Truckload or Container Load? Your cargo may travel from the production area to a storage facility. Later, forklifts and other conveyances transfer it to a staging area for shipment and onto the dock to be loaded into 3PL logistics company’s trucks or containers for transport to a delivery destination….